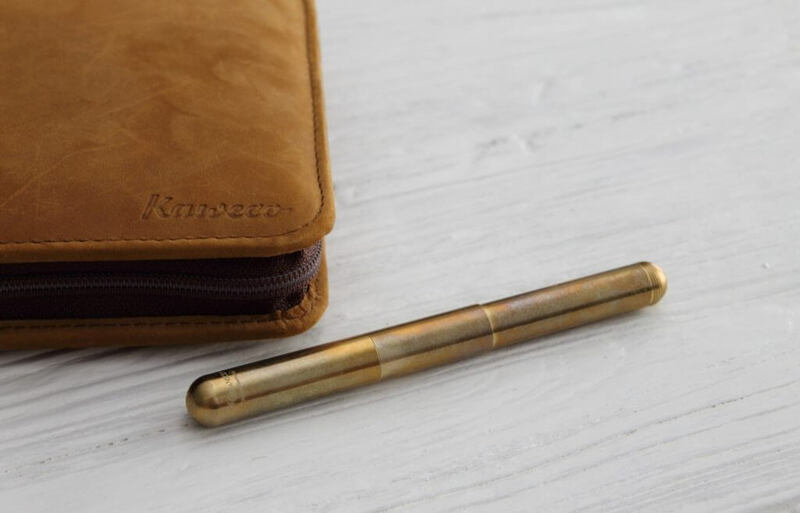 Kaweco are best known for their pocket pens from the Sport and Lilliput series. 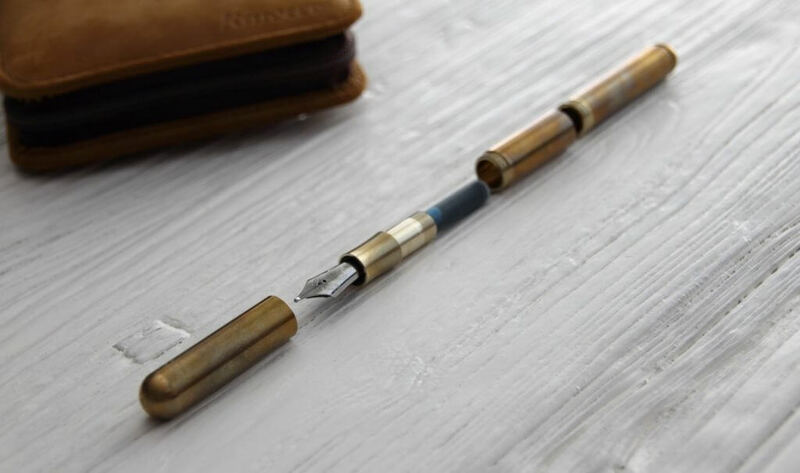 The second one, the Lilliput, is a collection of minimalistic metal pocket pens, and – according to Kaweco – the smallest fountain pen on the market. 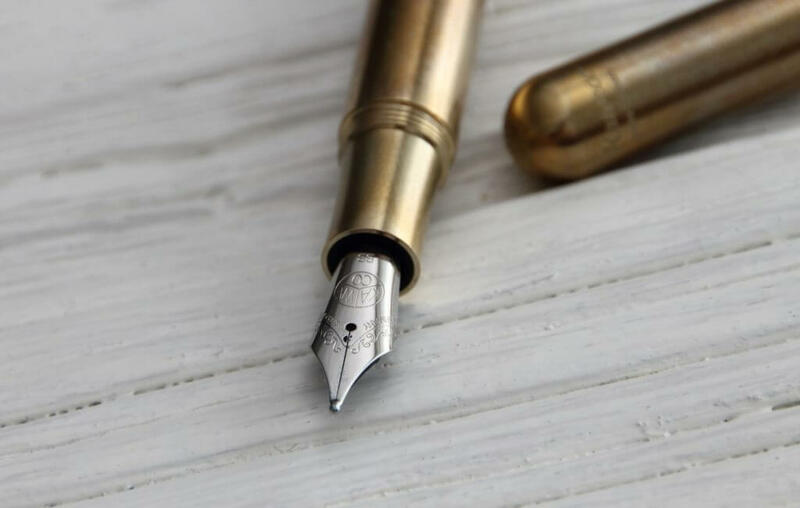 The Lilliput is a favourite of many fountain pen enthusiasts, mainly for its pocketability with its super compact size, but also as a collectible due to the wide variety of metals and finishes it is available in. However, a small pen isn’t always useful. If you want a comfortable, relaxed writing experience, chances are you won’t find it with the Lilliput. As a solution to this problem, Kaweco came up with a new product that is basically a compromise between the beloved style of the Lilliput, and the comfort of a full-sized pen: the Supra. 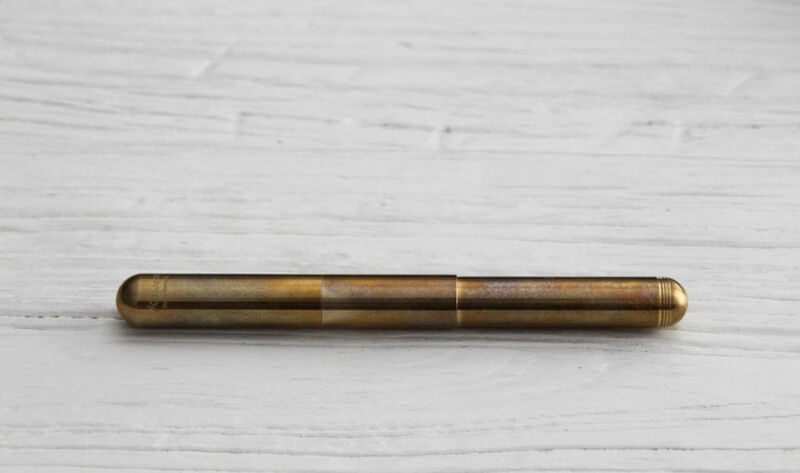 The Kaweco Supra fountain pen is without a doubt the most unconventional design in Kaweco’s current collection. It has the same form as the Lilliput, but in a bigger package (both lengthwise and in diameter). 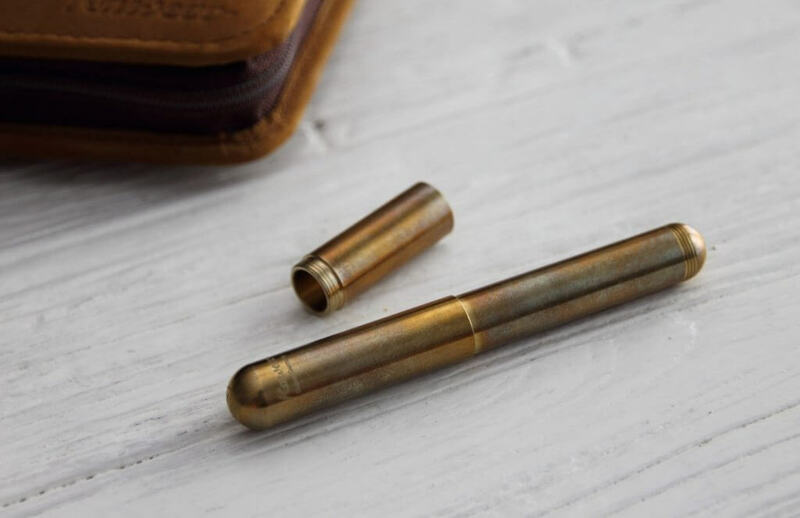 But, the most remarkable part: it also features a 3cm long removable section to give you the choice between a pocket pen or a full-sized one. This removable section is certainly the biggest feature of the Supra, and it’s a major part of the appeal, but it’s definitely not the only reason you’d want it. The Supra has a fairly minimal design, but part of the visual attraction comes from the material the pen is made of: Brass! The full brass build makes the Supra feel substantial in the hand, but most importantly it gets a beautiful patina after just a couple days of use (unless, of course, you want to keep it pristine – in which case you can keep it shiny with a bit of brass polish every now and then!) If left to its own devices, the bright gold colour gradually changes into a darker, duller gold-brown, with a range of different hues coming through in the patina. The Supra is a considerably larger pen compared to the Lilliput, especially with the extension in place, so obviously it’s quite a bit heavier in the hand at just over 50 grams in total. It measures in at 10cm closed, and 13.4 cm posted without the extension in place, which is closely comparable to the Lilliput. But with the extension, the Supra grows to a length of 13cm closed, and 12.5cm open, which is about average for a fountain pen, and should be enough to provide a comfortable fit for most hands. The most obvious change is the added diameter; at 11.6cm, it’s a couple of millimetres thicker than the Lilliput. While that may not sound like much, it’s certainly noticeable in the hand. So for those that thought the Lilliput was a bit too thin, or too unsubstantial, the Supra improves in this area as well. L to R: TWSBI Diamond 580, Kaweco Al Sport, Kaweco Lilliput, Kaweco Supra, Lamy AL-Star, Lamy 2000. 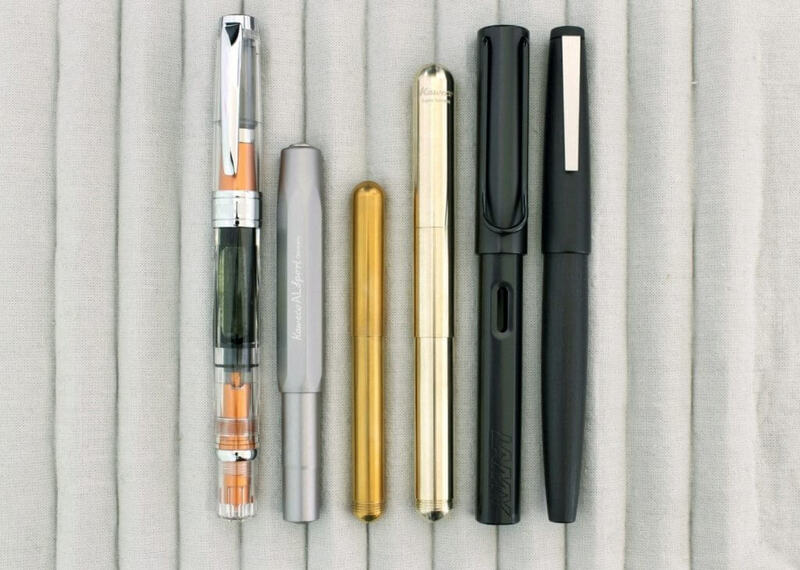 In the picture above, you can see how the Supra stacks up to some other popular pens. 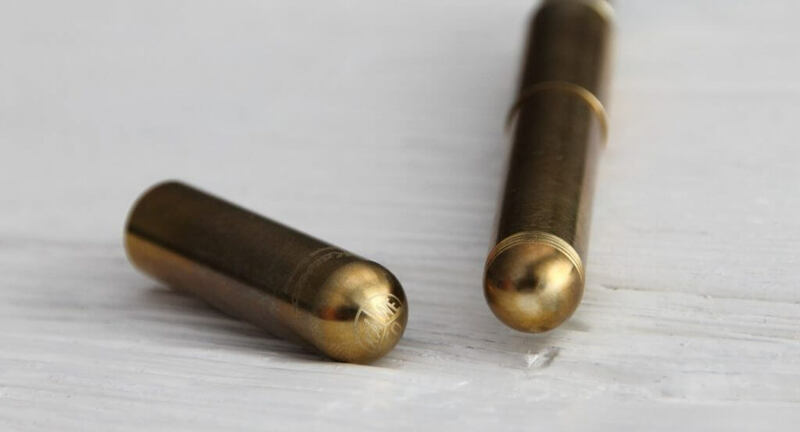 You can also see the colour difference between the used Kaweco Lilliput with patina, and the Supra without patina. Think away the extension piece, and the Supra is barely any larger than the Lilliput. The extension piece also provides another (unexpected) benefit: it fits a normal converter. This means you won’t have to use cartridges, or mess with syringes to refill empty cartridges. Obviously this is only true for when you’re using the extension piece, otherwise you’ll just have to stick with cartridges, or the small converters Kaweco produce. At the writing end, Kaweco surprises again with a larger #6 nib. 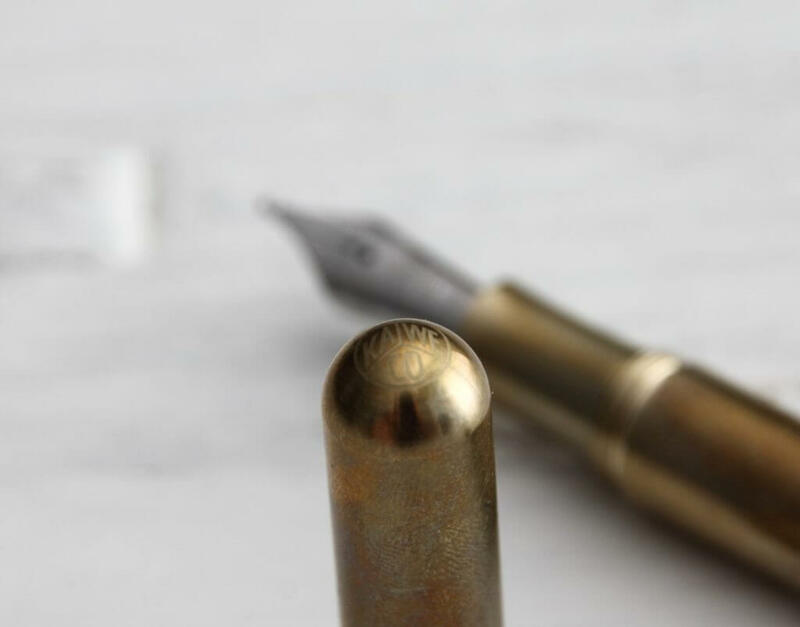 Compared to the small #5 nibs that can be found on most other Kaweco pens, such as the Sport and Lilliput, this nib looks the part on a larger pen like the Supra. It has the same design as the smaller nibs, and it also performs as well as its smaller brothers – perhaps even a little better. Nibs are available in steel from EF to BB. I went with the BB and it’s perfectly smooth, yet still very responsive with no skipping. 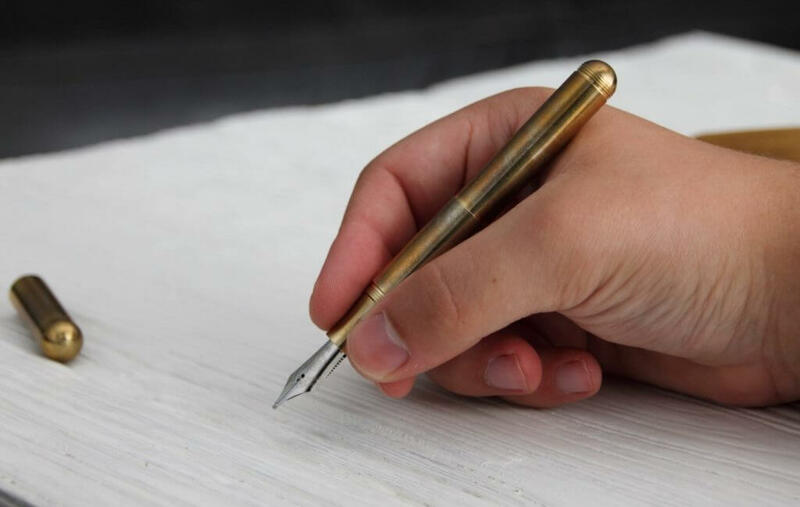 In short, Kaweco expanded their product line with a pen that complements the Lilliput. The Supra is the perfect pen for those people who want more options when using their fountain pen, depending on the writing situation. As a pen-collecting student, I often get strange looks from my Bic-chewing, digitalised friends, who would never spend more than £1 on a pen. I, on the other hand, couldn't imagine a life without my collection, and I love to share this passion on my blog! ← Previous Post: Win ANY 2017 Paperblanks diary!